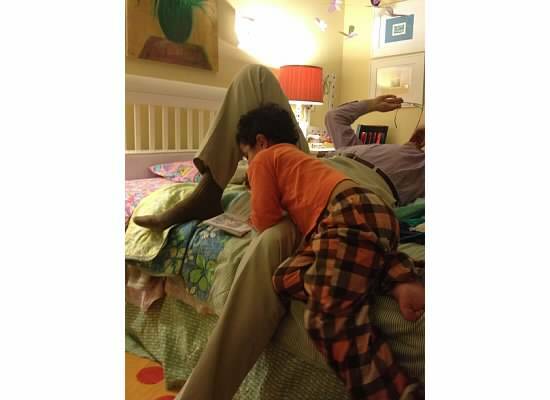 This is why my daughter prefers that the boys use the "boy bedroom" when reading bedtime stories. J2 and Husband are sprawled on the bed (I did mention to Husband that it would be easier to assist with sight words in the little book if he was actually looking at the little book. Poor tired Husband). M and I are sitting opposite on a chair, waiting for her turn to read the little sight word book their preschool sends home with each of them.